We picked up this cute book from the library last week. It is an award-winning book so I expected it to be good and it did not disappoint. 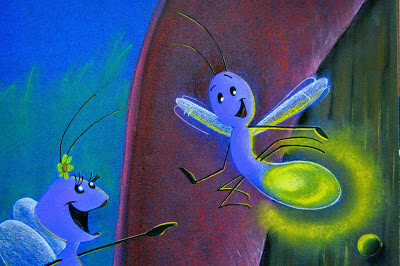 It is a touching story about believing in yourself. Little Leo captures your heart as you read about him building self-confidence in his struggle to make his very own light glow. 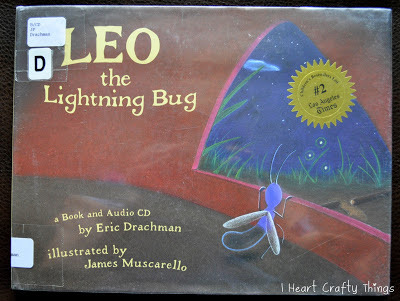 The book came with an Audio CD that has the author and other voices reading the story. It even has fun sound effects throughout the story. All 3 of my kids sat on my bed with me and we all enjoyed the story with the CD. 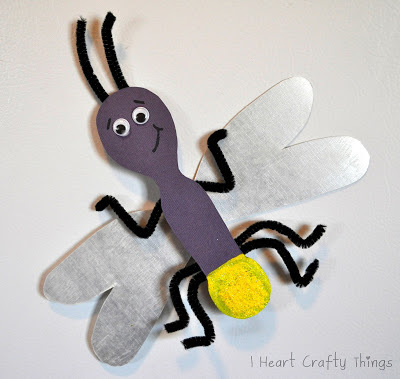 I actually made this craft for my toddler to play with (she loves it!) but it would be great for preschool and elementary age kids to make themselves (they will require some assistance with a hot glue gun). You can download my pattern HERE. 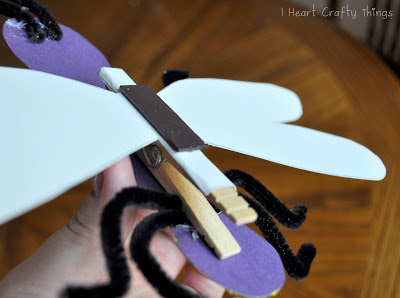 What makes this craft fun is that it’s made on a clothespin. The clothespin gives it more of a 3-dimensional effect and also makes it more sturdy to play with. 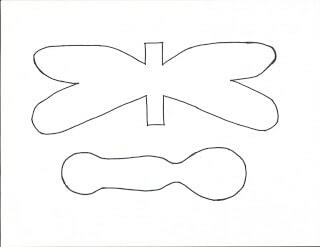 I cut my lightning bug body out of purple cardstock paper and my wings out of silver cardstock paper (you could use white). 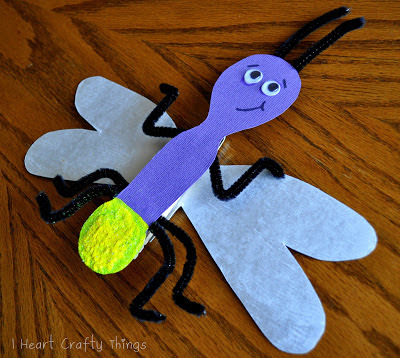 Then I cut 2 pipe cleaners into fourths, hot glued them on the back of the purple body as legs and antennae. 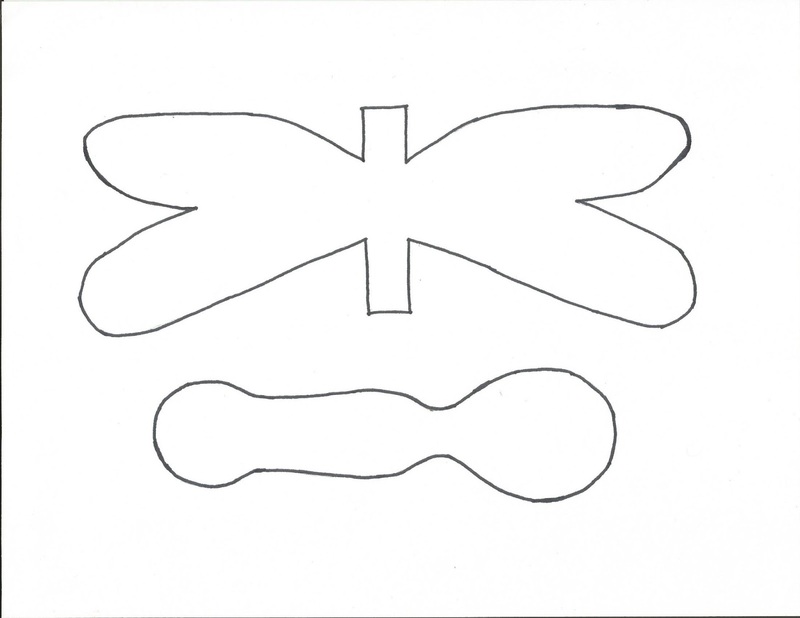 You can see that I bent the pipe cleaners some to give the legs shape. To finish off Leo’s face, I attached wiggly eyes (received from Craftprojectideas.com) and used a black marker to draw a mouth and eyebrows. Next I hot glued the body to the front of the clothespin and the wings to the back of the clothespin. To finish the lightning bug I painted the bottom of his body with bright yellow paint and then sprinkled neon yellow glitter all over the paint while it was still wet. The glitter makes his light really glimmer. 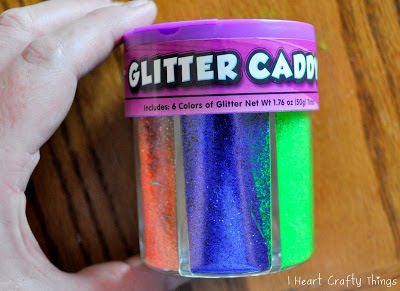 I have several of these glitter caddy’s from Craftprojectideas.com, and that is the glitter I used. They have one specifically with fun neon colors that you can pick up at your local Wal-Mart. 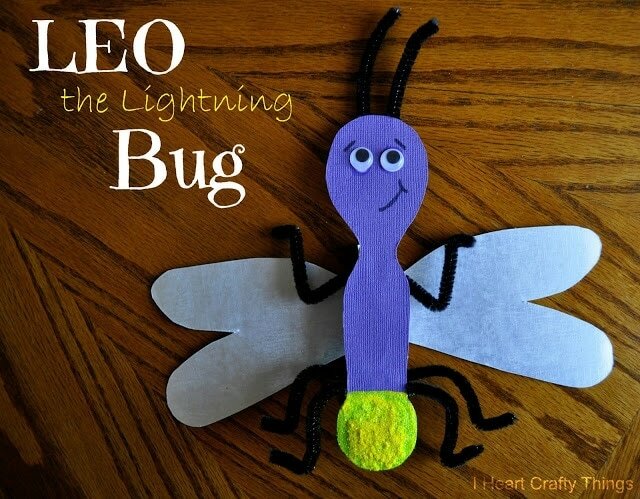 Below you can see how the lightning bug is assembled on the clothespin. I hot glued a magnet to the back of the clothespin so we could hang it on the fridge when Lila isn’t playing with it. You could also just use the clothespin to attach it to something. This is such a fun book. I highly recommend putting it on your library list!! 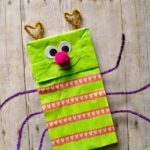 *I received my wiggly eyes free from Craftprojectideas.com, but all opinions are my own. 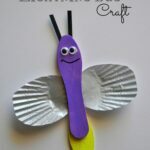 What a cute little lightning bug! 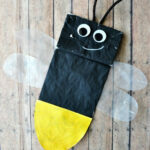 I'm going to be teaching an alphabet art class for our homeschool co-op, and this will make a great craft for L.